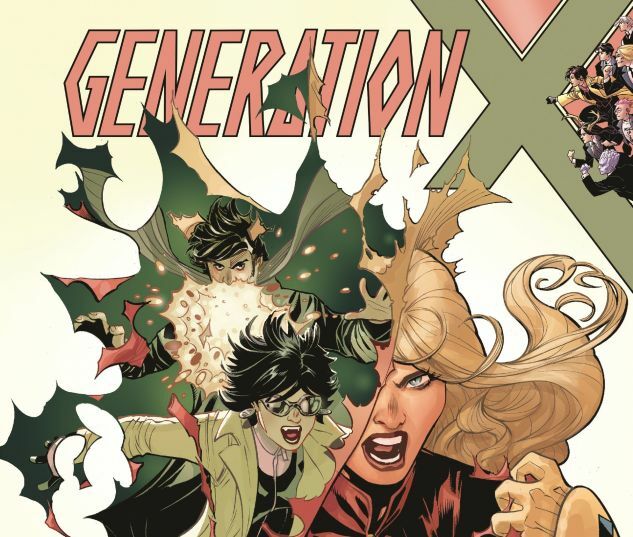 Collects Generation X (2017) #7-9, 85-87. Morph, Kid Omega and Hindsight are trapped! Stuck in a villain-infested auction, the Gen X-ers must destroy a priceless weapon — all without getting caught by the auctioneer, Kade Kilgore. Meanwhile, last we saw Monet St. Croix, she had merged with her vampiric brother, Emplate! Now, cursed with the hunger to feast on others, she has set her sights on Jubilee’s new class! But what about the old class? When Paige Guthrie, A.K.A. Husk, returns, the stage is set for an OG Gen X reunion! But it won’t be happy for any of them. 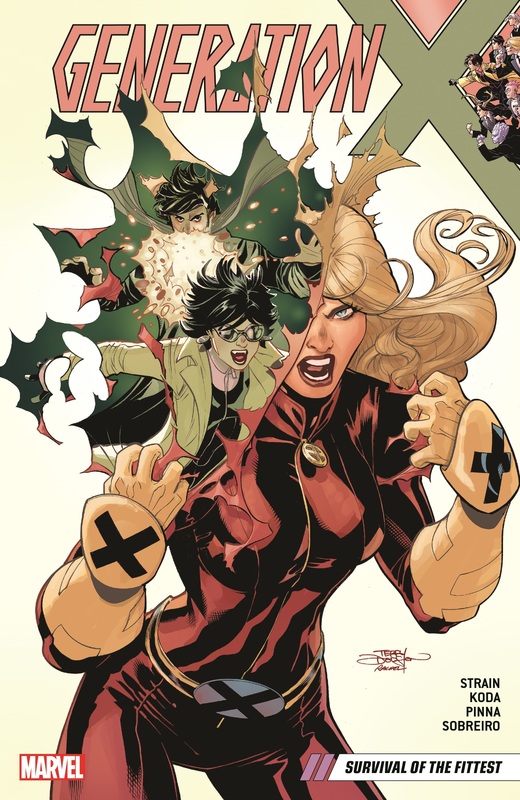 Can Jubilee, Chamber and Husk save Monet? Or is she forever lost to her brother’s curse? 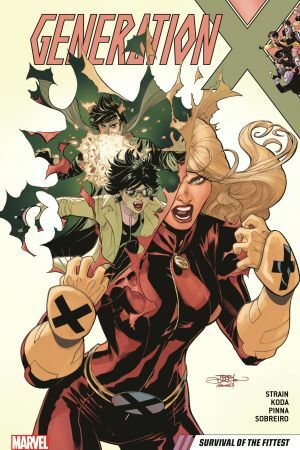 And will M-Plate feast on the kids of Generation X?